Milestone announced today the availability of its Progressive Web App (PWA) framework for consumer-oriented websites. 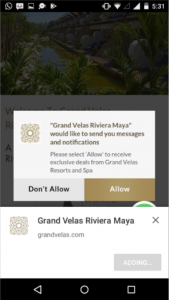 Milestone successfully deployed a PWA framework to a client site – the Grand Velas Riviera Maya resort in Playa del Carmen, Mexico. Using PWA technology, Milestone boosted the resort’s black-Friday conversion rate 53% by leveraging the speed and notification benefits of PWA. “PWA technology can be used on consumer-facing sites to create a richer, more interactive experience and boost conversion,” said Sathya Krishnamurthy, Milestone VP of Product Management. Because PWA requires HTTPs, consumers have a safe experience and are more likely to interact with your website. Through a combination of a lightweight framework as well as the “cache to device” capabilities of PWA, consumers have a fast app-like experience. PWA is ideal as a technology back-end for a true “mobile first” experience that blends the speed and notifications of PWA with the rich user experience of a mobile-first design. The app-like environment boosts conversions user engagement. Because PWA is an add-on to your existing site, it means your app-like experience is easy to discover and easily downloadable without the complexities of an app store, boosting user adoption. 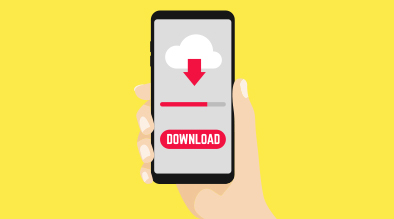 PWA’s caching capabilities mean that users can access your website even when they are offline or when connectivity is poor. PWA’s notification framework means businesses can engage with consumers in a more active manner, creating a more enticing, more satisfying experience for consumers. As part of Milestone’s QA process, the PWA framework was tested using the open source Lighthouse Developer tool to ensure that Milestone’s implementation was done properly and provided the user experience desired. “Deploying PWA properly is not as simple as it seems,” said Mr. Krishnamurthy, “during the development and initial testing process we did a lot of testing with the Lighthouse tool to ensure we were getting it right,” continued Mr. Krishnamurthy. “We encourage anyone who has deployed a PWA website to test their site using the Lighthouse tool,” said Mr. Krishnamurthy, “many PWA sites are not as functional as they should be and the PWA implementations are often lacking.” continued Mr. Krishnamurthy.